Cropped tank top in stretchy sequined fabric with scuba details. 80’s glam is the season’s major trend. 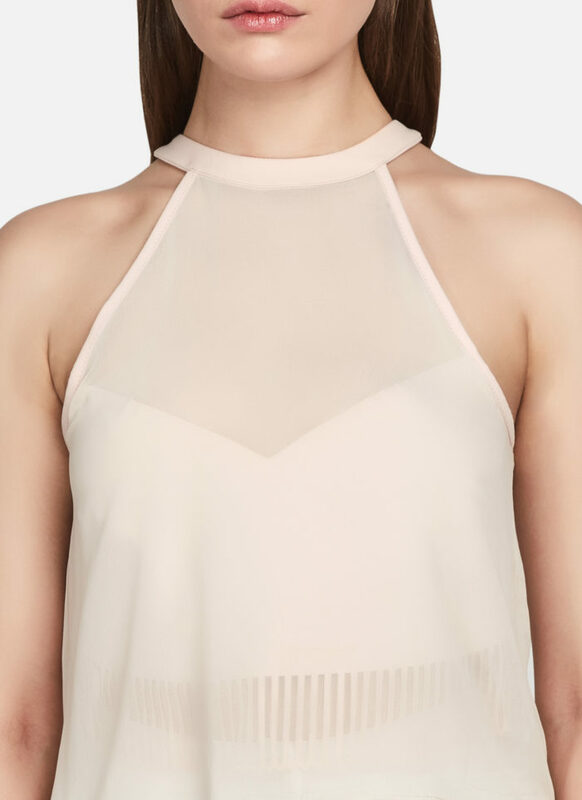 This cropped top is cut from pink sequins to highlight your winter outfits. Try it with the matching skirt for an ultra-shiny look.